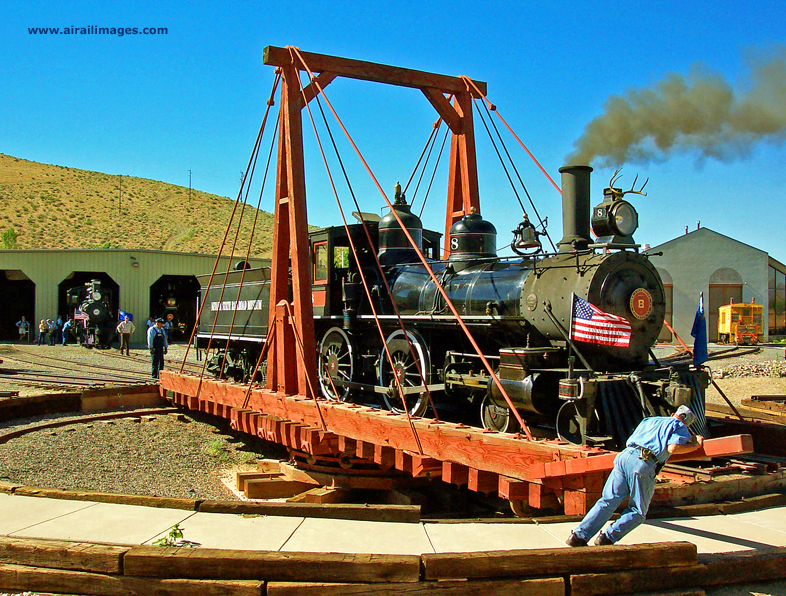 On a recent museum-hopping trip, I paused at the Baker Heritage Museum in Baker City, Ore. Located in a re-purposed 1921 municipal swimming pool and community center building, the museum is the result of a last-minute intervention in the 1970s by the Baker County Historical Society to save the structure, which had become an abandoned eyesore and was earmarked for demolition. Often the use of an existing facility is a financial necessity, more than a choice, for a museum. The city leased the old natatorium building to the historical society at no charge, providing the society would establish and operate a museum in it. The result is a series of galleries depicting everything from phosphorescent glow-in-the-dark minerals to vintage local stagecoaches, wildlife dioramas, and antiquities that once animated life in this part of Oregon. Two things quickly became apparent during my visit: The small staff and crew of volunteers have a joyful passion for telling the region's history that is transmitted to visitors, and, they are doing this without a lot of high-tech, high-dollar exhibit hardware. The Baker Heritage Museum exemplifies the joy of museums, pure and simple. Its displays and dioramas are evidence that much learning and enjoyment can be had in smaller museums in smaller communities. My visit reminded me not to overlook museums such as this one on my cross-country travels. The Baker Heritage Museum strives to do things right. The museum is supported by a non-profit foundation. A brief history brochure of the museum says: "The creation, support and continued volunteer effort on behalf of this Museum shows a dedication and determination by the people of Baker City to make a unique history available to the public in perpetuity." That is profoundly simple, and simply profound -- when perpetuity is a stated goal, outcomes can be shaped to facilitate that. another encouraging signal that the folks at the Baker Heritage Museum have their eye on the ball as they develop and operate this historical facility and care for the conservation of its collections. A succinct definition of what constitutes a museum is as elusive as the end of the rainbow, and may never get universal buy-in. Some museum professionals note with a sigh that “anyone who has ever visited a museum thinks they know how to run a museum”. The word, “museum” is bandied casually to conjure everything from a private individual’s collection of arcane stuff that is seldom seen by the public, all the way up to the methodical and wonderfully focused collections and themes of major institutions like the Smithsonian complex. For decades, museum professionals have delved into ways to harness technology and entertainment in an effort to engage the interest and participation of diverse audiences. Although static collections of interpreted artifacts are still central to a museum's rationale, the modern museum offers more -- classroom experiments, museum sleepovers, flight simulators, special events, distance-learning, living history re-enactments, or other participatory opportunities for visitors. Perhaps the best arbiter of the definition of “museum” is museologist G. Ellis Burcaw. He wrote the book, literally, that defines museums, and informs museum professionals. His Introduction to Museum Work (AltaMira Press, an American Association for State and Local History Series Book) is a thoughtful guide that threads its way through pitfalls and pinnacles of museum experiences. Burcaw’s observations steer the reader to a greater understanding of the obligations and the opportunities museums can offer society. His conclusions can alternately confirm and challenge the reader’s preconceived notions. It’s an outstanding read not only for museum professionals, but for dedicated museum visitors, supporting board members, and volunteer docents as well. Burcaw, and others in the museum profession, argue that to be a genuine museum requires a deliberate and disciplined collection of material items that can be used to impart educational, entertainment, and emotional value to visitors. Furthermore, that collection and its physical environment need to be enshrined and endowed in perpetuity. If we’re not in it for the long haul, we’re not really a museum. While some museums, particularly of national or international significance, may aspire to preserve one-of-everything in a particular discipline, the professional staffs of most smaller museums know they can never afford to have, or care for, “everything”. Hence, museum directors and curators become masters of using well-placed iconic examples to tell their stories, and they don’t lose sleep over not having all 231 variations of sturmstrudel speed blimps when they have just one that can tell the story admirably. A good museum has a succinct theme and story line that informs its collection policy and keeps it disciplined. Benefits are two-fold: the public gets a coherent presentation free from extraneous and confusing clutter, and the always cash-strapped museum doesn’t obligate itself to the perpetual care of items it doesn’t need. If this article piques your interest, please consider reading Ellis Burcaw’s eloquent book. And enjoy your next visit to a museum with a new set of expectations and understanding. For a number of years, it was my distinct pleasure to be involved as director/curator with two museums in the U.S. Air Force field museum program, starting in 1982 at then-McChord Air Force Base, near Tacoma, Wash. The 1980s were awash with optimistic base-level start-up museum efforts throughout the Air Force. We met, collaborated, and occasionally competed for the same scarce aircraft. The very DNA of Air Force field museums was infused with the need to establish a non-profit supporting foundation. 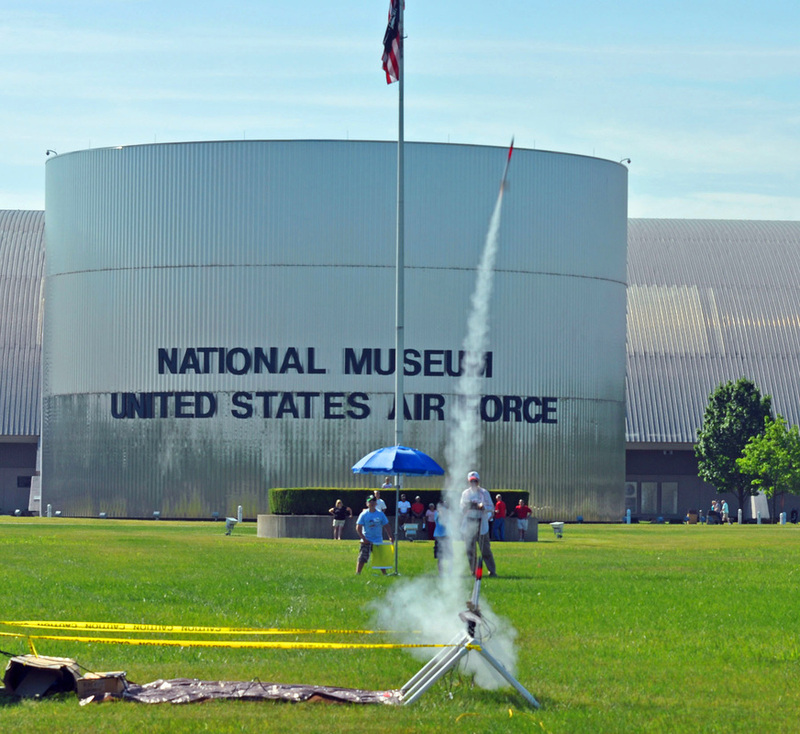 The Air Force did not have funds or staffing to meet every need of the burgeoning field museum program, and it was incumbent upon those who wanted to see a field museum flourish that a foundation be created to raise capital and other assets to enable the Air Force professional staff to execute the museum plan. In theory, the museum/foundation relationship in the Air Force system was simple: the Air Force staff made and executed museum plans and operations; the foundation enabled this with funds and assets. The foundation's role was not to acquire artifacts or set museum policy. It was a pleasure to work with some remarkable and selfless individuals on both the McChord Air Museum Foundation, and later the Flight Test Historical Foundation at Edwards AFB, in California's Mojave Desert. But just occasionally, an enthusiastic foundation member might push for an artifact, a program, or a policy that were outside the realm of the foundation's charter, and it fell to me to have a discussion about roles and responsibilities. DIRECTOR/CURATOR: In an ideal world, museums would have sufficient budget to hire a professional director as well as a curator. The director has the big picture -- he or she often creates it -- to move the museum forward. The director creates alliances in the community, and works with support groups to achieve the museum's goals. Meanwhile, the curator is the museum professional who has ultimate stewardship of the museum's collection. Curators typically are subject-matter experts as well as museum technical experts who know how to achieve the best way to protect, display, store, and restore, the collection. But let's get real -- for many small museums, especially when just starting, the functions of director and curator must reside in one person. If a curator can afford the luxury of being a social recluse, the director cannot -- so the combined director/curator needs to be able to deal with the public and the media, and also have a working knowledge of the museum's subject matter, as well as fundamental museum best-practices. Now that the museum has its director/curator in place, at least one other staff slot is worth addressing. The position may be called CHIEF OF STAFF, chief of operations, chief of maintenance, or something similar. If only one other person is available to help the director/curator create and operate the museum, let it be this chief who may do everything from answering the phone to coordinating the volunteers, to arranging tours, to ensuring the old jet fighter outside the front door is periodically washed and painted. With these two people creating and running the museum, the presence of a non-profit FOUNDATION is crucial to museum operations. At their best, foundations capture the interest and assistance of community leaders who can help. Foundation members might provide everything from pro bono legal advice to construction and moving assistance. The devil is always in the details, and both museum staff and foundation board members need to be clear on the roles and responsibilities of each. The Air Force field museums spell this out in a memorandum of understanding (MOU) between the museum staff and foundation leadership. Volunteers typically come in two species: DOCENTS and other workers. Docents greet the public and help ensure visitors have a good and meaningful museum experience. Other volunteers may do everything from tend the museum garden, to restore artifacts, to construct display fixtures, to general building maintenance. Some volunteers are so enthusiastic they make the leap from docent to other volunteer tasks frequently. Like foundation members, volunteers need to have a clear understanding of their duties and limitations so they do not, in well-meaning zeal, obligate the museum to something beyond their power to offer. Sure, this is a simplistic view of an idealized small museum. But it conveys a quick overview of the roles and responsibilities of typical museum workers. The director/curator must call the shots. The chief of staff can keep the museum up and running. The foundation needs to understand its importance is in being "the ATM for the museum", as one board member eloquently put it. And volunteers need to know they are appreciated, and also that they are not the museum director -- in a future column, perhaps we'll talk about the need for diplomacy on the part of the director! Next time you visit a small museum, please contemplate and appreciate that they may be chronically understaffed and underbudgeted; anything you can do to make it easier for the staff and volunteers will surely be appreciated. And happy museum visiting! Whether you are a museum visitor, volunteer, or professional, the appreciation of the value of museums runs deep. At Museumerica.com we share that feeling. 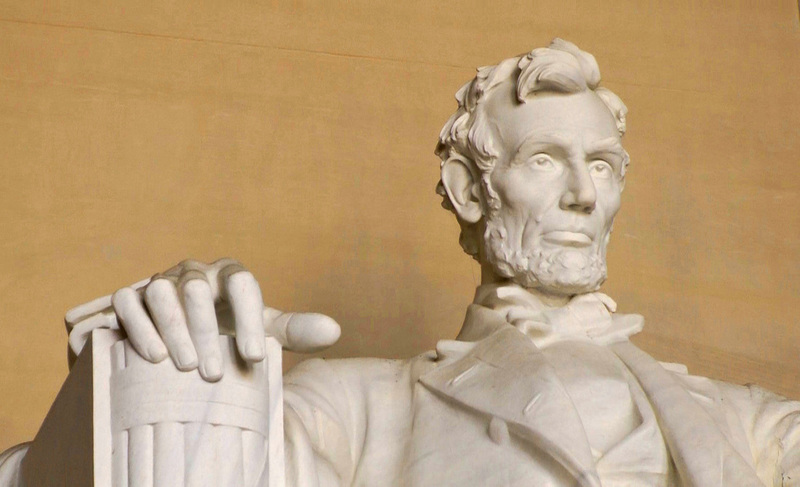 Museums preserve astounding icons of the past and of today in their collections, giving millions of visitors a moving, connecting experience that only comes from being in the presence of actual, three-dimensional history. Museums teach while they entertain. They ground us to our past while inspiring us to leap into our future. We hope you will join us as we explore historical museums and natural sites that illuminate the world in which we live. Along the way, we may find some tips and lively discussions for museum visitors and professionals alike. We believe you will enjoy our mix of stories, images and videos highlighting a wide range of museum experiences and museum topics. Museumerica.com appreciates the vast body of museum knowledge available, and we will share tips and sources that may make us all better prepared as museum visitors, volunteers, and professionals. This stuff is fun if we let it be. Sure, museum staff have high obligations to their collections and to ensuring a positive visitor experience. But through it all, we perceive a joy in visiting, a joy in doing. We're here to promote a good time in museums. 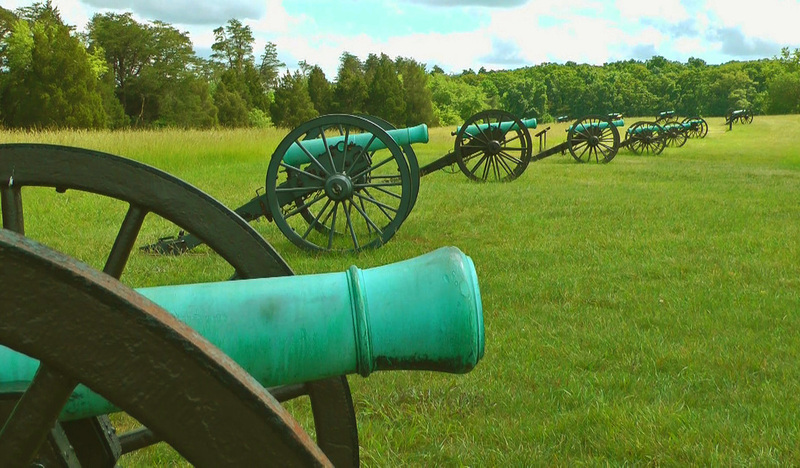 We will highlight other sites and museums in an effort to share the fun and knowledge. We encourage you to follow up with other museum- and preservation-related sites to learn what's out there. 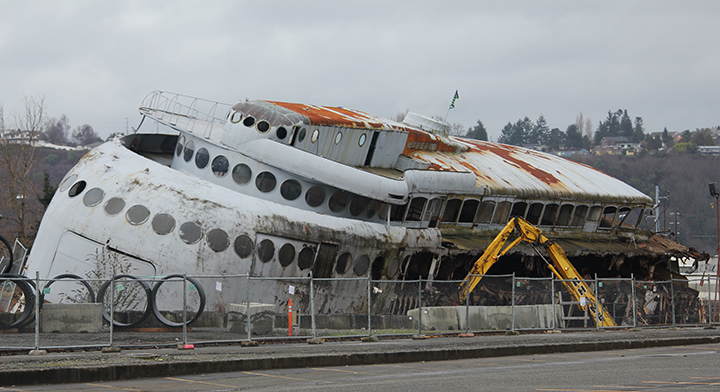 The historic art-deco streamlined ferry Kalakala is being scrapped near Tacoma, Washington after many years of efforts to restore and preserve the boat did not achieve that goal. 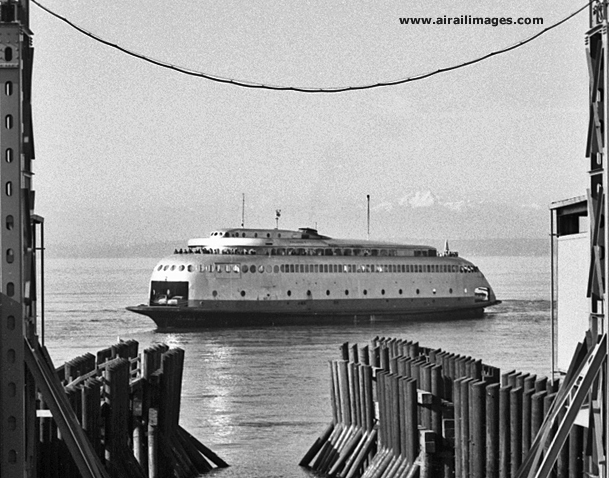 Once known for moonlight cruises with a live dance band in the 1930s after its daytime ferry runs to Bremerton, the futuristically rounded Kalakala could still be seen shuttling across Puget Sound as late as 1967. The Kalakala's fate shows how fragile the net for historic preservation can be. Many people made ongoing efforts to save the Kalakala, including providing low-cost moorage near Tacoma for years, but it has been said restoration could have cost $25 million. Animation depicts the fourth gallery building of the National Museum of the U.S. Air Force, now under construction. It is scheduled to open in 2016. Fight test, presidential aircraft, and airlift will be featured in the new building on the museum's campus at Wright-Patterson AFB near Dayton, Ohio. UPDATE - AUGUST 2014: The Flight Test Historical Foundation announced it has successfully met the matching grant requirements. Plans call for the acquisition and relocation of large steel hangars for the museum outside the gate. Further phases of the capital plan are envisioned for completion of the museum. The Air Force Flight Test Museum at Edwards Air Force Base, Calif., is the beneficiary of a capital matching campaign by the Flight Test Historical Foundation. The goal is to relocate the museum outside the main gate to Edwards AFB, enhancing public access and allowing for future growth of the museum. Such access is deemed vital to the growth and service potential for the museum. The matching campaign must be accomplished by July 1, 2014 according to website information from the Foundation. About $176,000 is still needed to achieve the matching grant obligation, according to a Foundation document. The first phase of the relocation plan envisions a 12,000 sq. ft. building erected on the west gate site near the existing Century Circle aircraft displays. Cost is estimated at $1 million for this phase. Rex Moen, FTHF Capital Campaign Chairman, announced in June: "The Flight Test Historical Foundation has just received a $50,000 grant offer conditioned on the FTHF raising $50,000 of new contributions received on or after June 1, 2014. We need a super-human effort by all Directors, Trustees and Friends of the Flight Test Museum to achieve this grant." Moen adds: "...the successful matching of this $50,000 conditional grant will meet the Phase 1 goal of $990,000 of the Capital Campaign and will secure the $300,000 Hilton Foundation grant. Please help!" In commemoration of the 72nd anniversary of the founding of the Eighth Air Force in Savannah, Georgia, the Atlanta History Center (AHC) hosts a special evening program featuring veterans who served in the Mighty Eighth Air Force. The program is scheduled for 6 to 8 p.m., Feb. 26, 2014. Hear first-hand accounts of bravery and sacrifice from those who fought the air war over Nazi-occupied Europe as part of the greatest air armada of all time. Five veterans will share their individual stories of piloting a B-24 Liberator over the skies of Germany; acting as lead navigator of a bomb group; serving in a B-17 Flying Fortress ball-turret; captivity as a prisoner of war in a Nazi POW camp; and battling a jet-propelled German Messerschmitt 262 from a propeller-driven P-51 Mustang. Presented in partnership with the National Museum of the Mighty Eighth Air Force with support from the Atlanta Journal-Constitution, this program is the second of the Atlanta History Center’s ongoing veterans series, Stories of Sacrifice. "These free events are designed to highlight veterans' personal stories and inform the public about the oral history opportunities available to veterans, their families, and our community", a spokesperson for the Atlanta History Center said. Veterans' stories are recorded and preserved through the Atlanta History Center’s Veterans History Project produced in collaboration with the Library of Congress as well as the Military Voices Initiatives conducted by StoryCorps at the Atlanta History Center. "This program is free; RSVPs are requested," the AHC spokesperson said. AHC lists its phone number as: 404.814.4150. The Atlanta History Center is located at 130 West Paces Ferry Road NW, Atlanta, Ga. 30305. From February 7 to April 20, 2014, the Smithsonian Institution's Donald W. Reynolds Center for American Art and Portraiture will host an exhibition called, “Monuments Men: On the Frontline to Save Europe’s Art, 1942-1946.” The exhibit, in the Lawrence A. Fleischman Gallery, will showcase the photographs, official records, maps, correspondence and audio interviews that chronicle the extraordinary mission of the U.S. Army unit officially known as the Monuments, Fine Arts and Archives Section. The unit participated in locating and recovering major works of art that had been looted by the Nazis. The Smithsonian's Archives of American Art acquired the personal papers of one of the prominent Monuments Men, George Leslie Stout, who was a well-respected art conservator and instructor at the Fogg Museum in Boston. Stout developed the plan for the conservation corps that led to the formation in 1943 of the Roberts Commission, known formally as the American Commission for the Protection and Salvage of Artistic and Historic Monuments in War Areas. The exhibition will display Stout’s correspondence during the commission’s development and his time in Germany, as well as field manuals and maps of cultural sites that the military carried with them from D-Day through V-E Day. The exhibition will feature the inventory of artwork—totaling more than 1,000 items—amassed by Nazi Germany’s second in command, Hermann Goering, which was stolen from museums and private collections. Hidden in salt mines across Germany, the looted art that was recovered included Michelangelo’s sculpture “Madonna and Child,” the Ghent Altarpiece and piles of gold reserves valued at billions of dollars. Oral histories from six of the Monuments Men will be accessible as a guide by cell phone. The Patton Museum at Fort Knox, Ky., re-opened as the General George Patton Museum and Center of Leadership on June 14, 2013. Realignment of an armor mission from Fort Knox to Fort Benning, Ga., left gaps in the Patton Museum's display coverage and mission, so the facility launched a three-year $5 million renovation with a thematic shift emphasizing leadership. Museum officials also say the revamped Patton museum uses smart phone technology to speak to younger technology-savvy audiences. The museum retains an extensive collection of General Patton's memorabilia. The Commemorative Air Force (CAF) organization that operates vintage military aircraft around the U.S. for air shows and historical demonstrations is looking for a National Airbase to be its center, with regional CAF Airbases designated for other sites in America. The CAF National Airbase will be selected using a variety of factors, including proximity to a metropolitan area with a population of 500,000 or more; nearness to two or more interstate highways; availability of at least 150 acres adjacent to an airport; community support; economic incentives; accessibility for CAF members; suitable roads, amenities, vendors, hotels and restaurants; and a large pool of potential customers, guests and members, a CAF spokesperson said. The CAF seeks a site that is not far from a major international airport while keeping its actual National Airbase location at a reliever airport that has limited scheduled air carrier activity. A 7,000-foot runway that is 150 feet wide, plus available siting for CAF activities is envisioned. The airport for the proposed CAF National Airbase should be able to support a fly-in, but not necessarily a full air show, the organization says. Decision on a CAF National Airbase site is expected to be made in the spring of 2014. CAF president and CEO Stephan C. Brown elaborated on the organization's intentions for Midland: “...The CAF will upgrade the CAF Airpower Museum experience to include more significant airplanes and will continue to produce the annual Midland/Odessa based CAF AIRSHO... The CAF is a core element of the culture in West Texas and will continue to be such... In effect, the local community will not see any impact, as the museum and its assets, as well as the AIRSHO and local units will continue to operate as they have for the last 20 years, except with some exciting upgrades." Airplanes being considered for location at Midland include a Japanese Zero fighter and a P-51 Mustang, according to the CAF's Airpower Museum Director Autumn Vest. The Tillamook Air Museum, known for its use of a huge airship hangar in the coastal Oregon town of Tillamook, announced plans to relocate its museum operations to the drier climate of central Oregon at Madras. Part of Erickson Group, Ltd., the air museum will move where Erickson Aero Tanker has bought an air tanker base in Madras, a museum spokesman said. The tanker operation currently flies three Douglas DC-7 piston-engine airliners as air tankers and is developing an air tanker based on the MD-87 jet airliner descendant of the DC-9. An Erickson spokesman said Erickson does not intend to renew its lease with the Port of Tillamook Bay at the expiration of the current lease in January 2016. The World War II airship hangar houses the Erickson museum aircraft collection plus aircraft on loan to the Port of Tillamook from the U.S. Navy. Museum operations at Tillamook are expected to be business as usual for 2013, though some changes are anticipated as Erickson and the Port execute the transition. The Erickson organization envisions benefits for the museum in Madras to include the drier climate plus an available aviation workforce to maintain the historic aircraft, some of which are flown. Construction on a new 65,000 square foot hangar in Madras will start in the summer of 2013. The new hangar augments an existing 22,000-square foot facility that will support the modification and maintenance of the aerial tanker fleet, plus storage and eventual display of the vintage aircraft collection begun by Jack Erickson in 1983. An opportunity to view classic American aviation movies in a technologically advanced theater is scheduled in the Air Force Museum Theater in Dayton, Ohio, for the first Reel Stuff Film Festival of Aviation on April 12-14, 2013. The theater recently underwent an $800,000 upgrade and will celebrate its grand reopening by hosting 11 screening events during three days of Reel Stuff. Upgrades include dual 4K projectors, 7.1-plus surround sound, new carpeting, new seats and a presentation stage. Reel Stuff founder and director Ron Kaplan says each film will be presented by someone closely associated with its creation such as a producer, director, or cinematographer, and shown on the theater’s new 80-foot-wide screen. On Friday, April 12, Reel Stuff will present a digitally re-mastered version of the 1927 Paramount classic, "Wings", which won the first Academy award for Best Picture. The screening is presented by the director’s son, actor and author William Wellman, Jr., who wrote The Man and His Wings, a biography of his father and his illustrious filmmaking career. An April 13 screening of Top Gun 3D will be presented by Clay Lacy, the original production’s aerial cinematographer, along with Barry Sandrew, founder of Legend3D, the company that converted the original film into 3D. Top Gun is the late director Tony Scott’s 1986 film about Navy F-14 pilots. Top Gun's rock-and-roll score coupled with Scott’s distinctive visual style set new creative standards that influence filmmakers to this day, Kaplan said. Reel Stuff presents two opportunities for film buffs to experience Top Gun 3D in its new format. An April 14 encore Top Gun 3D screening will be presented by former real-life Top Gun fighter school graduate and five-time Shuttle mission veteran, retired Navy Capt. Robert L. “Hoot” Gibson. Seating for these three and eight other film screenings during Reel Stuff is limited. Kaplan encouraged those who want to attend to go online to purchase tickets in advance at www.airforcemuseum.com/reelstuff, or by calling (937) 253-4629. He said tickets are on sale at the Air Force Museum Theater box office and will be throughout the three-day event (as long as seating is available). Individual screening tickets, full day discount passes, and full festival passes are offered, Kaplan said. The Air Force Museum Theater is operated by the Air Force Museum Foundation, Inc. Proceeds will allow the non-profit foundation to bring this festival to Dayton and help support entertainment and educational programs for patrons throughout the year. The foundation was established in 1960 as a philanthropic, non-profit organization to assist in the development and expansion of the facilities of the National Museum of United States Air Force®. "Reel Stuff Aviation Resources LLC is dedicated to supporting non-profit aviation organizations through producing entertaining events and programs that cinematically celebrate the people, wonder, and joy of flight," Kaplan explained. NEW ORLEANS (March 6, 2013) — Bestselling author Dr. Arthur Herman will talk about the essential role of American business executives during the Second World War in a special appearance at The National WWII Museum on March 14 that is free and open to the public, according to a museum spokesperson. The talk, part of The General Raymond E. Mason Jr. Distinguished Lecture Series on World War II, is based on Herman’s book Freedom’s Forge: How American Business Produced Victory in WWII, that tells the story of the business leaders who created the Arsenal of Democracy, the mighty national industrial effort that made victory over Germany and Japan possible. "The executives who ran the nation’s war effort are little known and Arthur’s ground-breaking history sheds new light on their efforts," said Museum CEO and President Dr. Gordon H. "Nick" Mueller. Freedom’s Forge, selected by Economist magazine as one of the best books of the year, focuses on auto executive William "Big Bill" Knudsen, who became the organizing genius behind a transformation of America’s industrial sector to remedy lagging war production. Herman is a former visiting scholar at the American Enterprise Institute, and the author of many books, including How the Scots Invented the Modern World and Gandhi & Churchill, the 2009 Finalist for the Pulitzer Prize in General Nonfiction. The lecture is scheduled for Thursday, March 14 in the US Freedom Pavilion: The Boeing Center, a newly opened complex which features hanging warbirds and Arsenal of Democracy exhibits. The event begins with a reception at 5:00 p.m. and concludes with a 7:00 p.m. book signing. Reservations are encouraged and can be made by calling 504-528-1944 x 412, according to the museum spokesperson. The Academy of Motion Picture Arts and Sciences boosted its plans for a major museum about the movie industry during the Academy's annual awards presentations the evening of February 24. Called the Academy Museum of Motion Pictures, the planned museum will occupy the iconic 1938 May Company building on Wilshire Boulevard in Los Angeles, according to the Academy's website. Scheduled to open in 2016, the museum is envisioned to include nearly 300,000 square feet of space including the classic May Company structure, which has been dormant for almost two decades. The Academy has been preserving artifacts of movie culture for many years, including equipment, props, costumes, letters, 80,000 annotated scripts, millions of photographs, and 140,000 films and videos. Multiple venues for viewing films are planned, along with other interactive displays to take visitors behind the scenes of movie-making. Explorations are planned to include the industry's evolving techniques in the digital age. In the past year, the Academy's fund raising effort has generated $100 million of the $250 million goal for the museum, all from private donations. The newest aircraft in the collection of the Idaho Military History Museum at Boise's Gowen Field is one of only 10 F-86 Sabre fighters modified for tests during the Korean War by fitting the aircraft with four 20mm cannons instead of the Sabre's normal armament of six .50 caliber machine guns. The evaluation, called GUN-VAL, explored the efficacy of the larger 20mm cannons against durable MiG-15 opponents. The 20mm cannons were Americanized versions of a World War II Mauser cannon that did not reach deployment in Germany before the war ended. Shorter than earlier American 20mm weapons, the adapted Mauser design was able to be fitted in the fuselage confines of the F-86. The cannon went on to see production as the American M-39 in such fighters as the F-100 Super Sabre. A much-loved Seattle museum institution, the Museum of History and Industry (MOHAI), is set to re-open in the refurbished Navy armory building on Lake Union Dec. 29, 2012. The museum's website suggests the recast MOHAI will feature a mix of old favorites like a World War II submarine periscope that has enchanted generations of visitors, plus a sometimes-edgy 21st Century take on history. Cody, Wyoming: Nowhere is the Spirit of the American West more evident than in the National Geographic Greatest Photographs of the American West, a collection of iconic western images captured by National Geographic’s most renowned photographers over a span of more than a hundred years. On October 27, 2012, the exhibition opened in 10 museums across America, including the Buffalo Bill Historical Center in Cody, Wyo. The exhibition features an unprecedented selection of images that define the very spirit of the American West, all created by National Geographic photographers, including historic photographs from Yellowstone National Park photographers William Henry Jackson and Ansel Adams. The show contains rarely seen and never-before-seen images from the National Geographic collection. President and CEO of the National Museum of Wildlife Art in Jackson Hole, Wyoming, James McNutt, says that this show “represents the first time a photography exhibition of this magnitude has opened at so many U.S. venues simultaneously.” McNutt and his crew worked with the National Geographic Museum in Washington, DC, to organize the exhibition. The companion book, National Geographic Greatest Photographs of the American West: Capturing 125 Years of Majesty, Spirit and Adventure, goes on sale October 10, 2012. Besides the three museums named above, other venues opening October 27 are: Booth Western Art Museum, Cartersville, Ga.; Eiteljorg Museum of American Indians and Western Art, Indianapolis, Ind. ; Gilcrease Museum, Tulsa, Okla.; National Cowboy and Western Heritage Museum, Oklahoma City, Okla.; Rockwell Museum of Western Art, Corning, N.Y.; C.M. Russell Museum, Great Falls, Mont. ; and the Stark Museum of Art, Orange, Tex. For more information about the National Geographic Greatest Photographs of the American West, visit http://www.bbhc.org/explore/exhibitions/national-geographic-photos/. Image: Monument Valley, Utah, 2001. Bruce Dale/National Geographic Stock. Articles and materials presented on this website are intended for entertainment and to promote further research by interested visitors. Get professional opinions from museum specialists in your area before undertaking any museum projects.